The latest in our ‘Tried and Tested’ series – Communications Manager and resident blogger Becky tries out the Redken Colour Extend duo. Confession time… Considering I work in a hair salon, you could say my dedication to haircare is far from perfect. In fact it’s outright terrible. I love experimenting with my hair, but all too often I don’t take the time or care needed to look after the results. Now come on, surely there are some of you out there just as guilty as me on this one?! I have pretty much been every colour under the sun, but most recently I have been trying out copper. Notorious for fading, red tones are most definitely beautiful and vibrant, but can take a lot of effort to upkeep. With this in mind, I wanted to invest in something that would help with that. 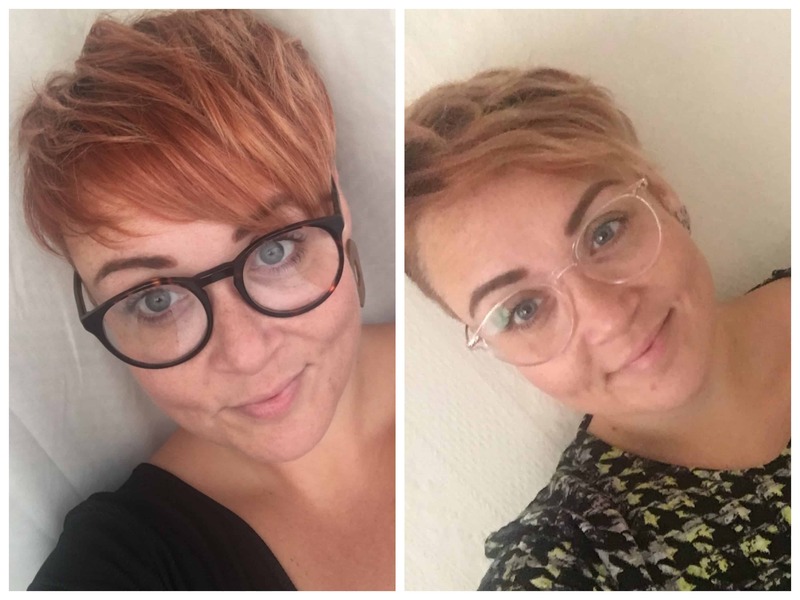 On my way down from the office, I stopped a couple of the stylists and asked their advice on what I could use to help keep my colour fresher for longer. We looked at the different ranges the salon stocks including Davines and Paul Mitchell, but we settled on the Redken Colour Extend Shampoo and Conditioner duo. I tend to wash my hair every other day, which means it takes quite a battering. So I need something that’s going to be gentle. But having short hair I do tend to use a lot of product too, so my shampoo needs to cleanse well too… I know I’m not asking much am I?!! Having never used a professional salon shampoo or conditioner at home before (yes, I’m the £1 bargain supermarket girl every stylist hates) I was advised I would need much product at all for my short hair. Just a small amount the size of a five pence coin. Obviously the price point was quite different to what I’d been used to, so knowing I wouldn’t need to use much put my mind at ease! 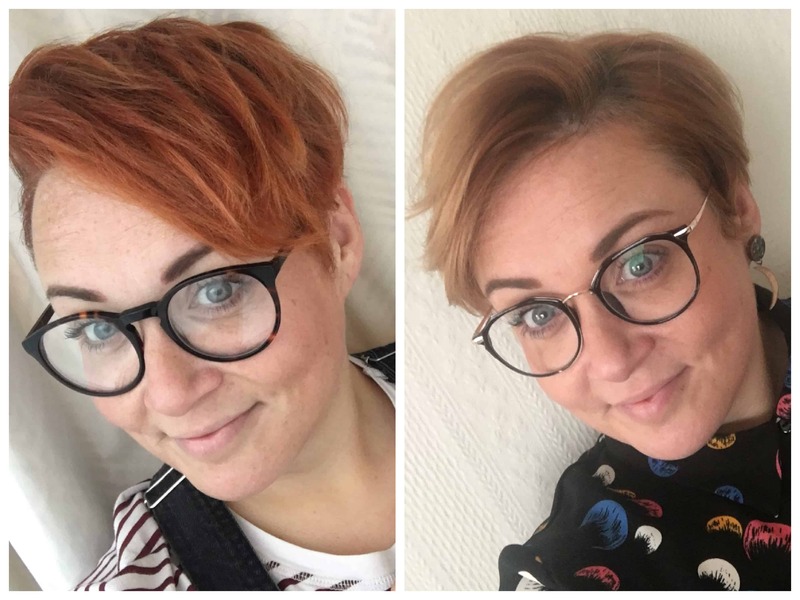 I had my hair freshly coloured on the 6th December and as I write this, we are looking at it being 6 weeks without a top up and using exclusively the Redken shampoo and conditioner. Now it’s worth noting that prior to my copper hues, I was a bit of a bleach addict, so you will note the ends of my hair are significantly lighter, this is due to the remains of the bleach still in my hair. But as you can see where my ‘virgin hair’ is, the colour has held much longer and stronger. And most importantly, my hair is in much better condition. I definitely feel that using the shampoo and conditioner has, not only extended my colour it has also improved the condition of my hair. 6 weeks in and I haven’t even used half a bottle yet, making it great value for money too. If you want to know what products will suit your hair the best and ensure it stays in tip top condition between visits, ask your stylist for their top recommendations. We stock a wide range of products from brands such as Redken, Schwarzkopf, Davines and Paul Mitchell.